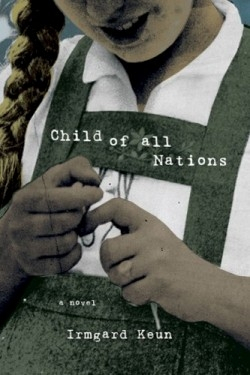 Child of All Nations, (Overlook Press, 978-1-59020-099-5) written by the exiled German novelist Irmgard Keun in 1938, was recently translated into English by Michael Hofmann. It follows the hotel-to-hotel nomadism of a wide-eyed girl whose innocent misun-derstandings of adult situations create humor in the midst of grimness. The first-person narrator is the daughter of an upbeat but deadbeat father who is essentially an artistic con man. He constantly robs Peter to pay Paul, usually keeping a city ahead of his family, comforted by mistresses. The narrator’s mother hides quiet desperation, projecting positive cheer.